A century ago, a technological breakthrough provoked lengthy debate among American physicians. 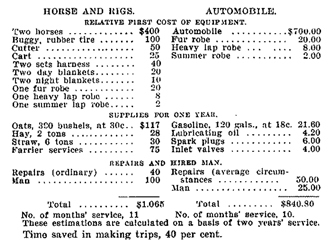 The April 1906 issue of the Journal of the American Medical Association had a special section with letters from physicians who passionately addressed the following questions: “Automobiles for physician use: Are they practical or desirable? Are they economical? Are they better than horses?” These letters contained cost-benefit analyses of the horse vs the automobile (see Figure 1) and strong opinions about how automobiles were going to transform health care. This debate went on for a few years. At the same time, there was a major problem in New York City with mounds of horse manure accumulating as the population grew. Everybody projected linearly and foresaw disaster by 1920. No one anticipated that the problem would simply become obsolete. Health IT has been under development for about 40 years now. Many other transformations, whether in refrigeration or the use of machines in industry, took a similar amount of time to be perfected and start showing benefits. Benefits appear as we figure out how to fit the new technologies into our societies. As technology — whether cars or phones or iPods — evolves into a commodity, it becomes faster, cheaper and easier for people with fewer skills to do more with it. The same people who could not stop their VCRs from blinking 10 years ago are now downloading movies and using iPhones. They have not become much more technically adept; the technology has become easier to use. As well, technology markets mature. Health IT is now a vendor-driven industry. As it becomes much more robust and competitive, health IT will become customer-driven, which benefits everyone including the vendors, though there may be some initial discomfort. Healthcare providers and hospitals can also expect some discomfort as technology enables people to take more control over their health. Business models evolve, even in health care. Today, we face the challenge of striking a crucial balance between the standardization needed to assure interoperability and the need to enable local innovation. The real innovation occurs not from top-down planning at a national level, but at the front lines by the users who are enabled by new capabilities. Health care is a field where knowledge doubles or triples every 10 years, and IT systems are currently not made to be that adaptable. Other industries are building systems around a fairly fixed set of processes. The political framework that drives and supports health IT also poses a challenge. Political cycles range from two to five years and these determine project delivery dates, even if it means pushing something through too soon, ultimately setting back the larger effort. Often, organizational changes such as are now occurring in Denmark and the U.K. are driven not by project needs, but by politics. From a technical point of view, health IT is on the verge of flipping over into a much more robust industry that will offer customers many more choices at a much more affordable cost. In a not-too-distant future, healthcare providers and individual consumers will select from a suite of applications that meet their needs and do not require long installation and set-up processes. Systems will be interchangeable and users will be able to tweak them, mould them to their own needs, and take them along as they move from place to place. Are we ready for real change? Patient-centred care is stated as a primary goal of health IT systems. But when we claim to be patient-centred, do we mean patient-centred as long as our current job and the way that we do it are protected? Or, do we mean we really do want to be patient-centred and are prepared to find new roles and ways to contribute? It may be uncomfortable if we actually do succeed in helping to transform the health and healthcare system. Before embarking on its reform process 10 years ago, personnel at Veterans’ Affairs were challenged by its leader to be entirely guided by the phrase “veterans first,” even if that meant it would be better to close down the organization’s medical centres and integrate veterans into the mainstream health system. A learning health system is dynamic and unsettling. As we progressively discover, with the help of health IT, how and where our health systems are not meeting our needs, we have to make changes. Evolutionary change requires consistent focus on improving care, with the technology itself remaining secondary. And the architecture of IT systems must enable them to evolve easily, providing new capabilities to accommodate both incremental and disruptive health system changes. The aim is to lay a flexible foundation for unpredictable development. In 2009, Dr. Kolodner transitioned from the federal to the private sector to co-found Collaborative Transformations, LLC, where he consults with organizations regarding their health IT strategies. 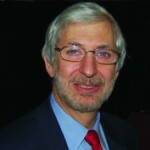 He was also hired as Chief Health Informatics Officer for the non-profit organization Open Health Tools, Inc. Before 2009, Dr. Kolodner served as the President’s designated lead for the United States eHealth initiative as the National Coordinator for Health Information Technology (IT) in the Office of the Secretary of the U.S. Department of Health and Human Services (DHHS). Dr. Kolodner was also the key clinical champion in the U.S. Department of Veterans Affairs (VA), providing vision, direction and effective leadership for the development and pervasive use of VA’s award-winning suite of health IT solutions.